REDFERN: Denise Clark goes through Redfern Station once a week. Every time, it is “a nightmare,” she said. Five years ago, a slight kneecap injury spiralled into disaster after a surgeon made a mistake. Now, Ms Clark struggles to walk steadily with a severed nerve, a rectangular machine fastened to her leg and four artificial ligaments and a screw installed in her knee. Even her journey to meet me in Redfern proved challenging. “I nearly cried twice,” she said. Holding the handrail, Ms Clark recalled being bumped heavily by two men rushing down the stairs. As of 2011, Redfern is the sixth busiest train station in Sydney with over 46,000 barrier counts each day. With 12 platforms, it is second only to Central in interchange possibilities. There are no lifts or ramps. In February, the SSH reported on the next stage of the Lift Redfern campaign. 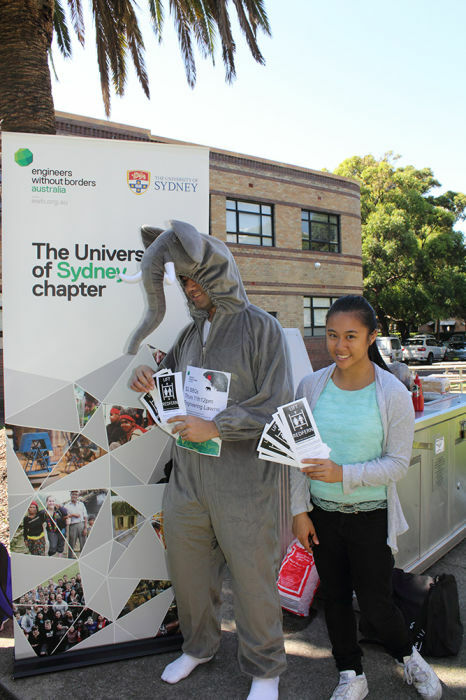 A fun, new marketing strategy of Phase Two has been to ask university students to devise a method of transporting an elephant onto a Redfern platform. On April 11, engineering students Oasika Faiz and Matt Broom were announced the winners of the elephant competition with their hydraulic pulley design. Other less technical responses involved fairy dust, releasing mice or poking the elephant with a giant pointy stick. Lift Redfern will soon launch a similar competition for children. Labor Sydney Councillor, Linda Scott, expressed full support, saying lifts at Redfern are “overdue”. Living in Erskineville as a mother of two young children, Ms Scott regularly has to ask for help when dragging her children’s pram up and down the station steps. “It’s just not good enough that people have to rely on the never-ending kindness of strangers,” she said. Denise Clark wants to see lifts at Redfern Station. “I don’t know how many more people [the government is] going to have to see fall down the stairs or injure themselves on the stairs before they do something about it,” she said. Until then, her commuting will remain a struggle. You can sign the Lift Redfern online petition and add in your own reasons for supporting lifts at Redfern here.